Whether SME or FTSE-100, it’s never too late to start outsourcing IT – but where to start? In this article we take a look at what areas of IT & technical support you can outsource and the benefits of doing so. Your Business Needs IT Support. What Next? You own a business, you’ve done your research and are well aware of the importance of IT support. So what next? If your large company already has IT staff then you may decide that’s enough. If you’re an SME or startup that can’t afford to hire IT personnel then you may decide to manage without. In both scenarios, you’re forgetting the potentially much better option: outsourcing IT support. 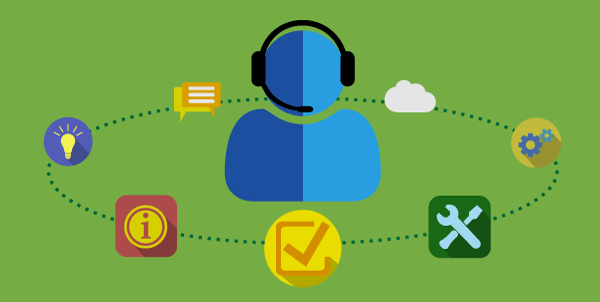 What are the Benefits of Outsourcing IT Support? Enterprise support isn’t just for Star Trek. Influential provides software support for all our BI Licence customers. Modern software is complex; if it goes wrong the fix can be tricky to figure out. Outsourced specialists trained in the latest tech can help with break-fixes, system configurations and troubleshooting, whether a bespoke application or licensed tool or platform. From troubleshooting and diagnosing hardware faults to installing new network printers, you need reliable technical support at hand – even if not 100% of the time. System efficiency is vital to success, so you’ll want help on hand to ensure your IT infrastructure is on point and well cared for. This includes broadband and network connections, servers and even the cloud. Did you remember to hit save… on your whole system? IT support providers can conduct regular backups for you and assist in recovering your systems in an emergency. SMEs are frequent targets for cyber attack. Enhance your system security with ad-hoc penetration testing & secure server setups by trained experts. Are you producing more data than you know what to do with? Hand your data integration and database management to specialists who know exactly how to process and look after it. Better than a break-fix is preventing the break in the first place. Regular system maintenance by technicians trained in the latest tech ensures a smooth running business, avoiding disruption and downtime. Your competitors don’t just stand still and neither do you; you want things to run faster, better, stronger, smoother. Dedicated development teams work to optimise and enhance your business systems, allowing you to focus on the business itself. If you’re still unsure of what to do you can simply ask for help – yes, even this can be outsourced. Experienced specialists like Influential can assess your business and offer advice about where to relieve pressure and strain on internal staff. You could even gain new avenues of business that limited resources had previously made inaccessible. The first step is to ask. The sooner you get started, the sooner you can relax knowing that IT is taken care of, so you can focus on your work. For 25 years Influential Software Services has delivered quality business software & data solutions from within the UK. If you would like to talk to us about a business intelligence solution, software solution or any IT project you need to deliver successfully, please contact us. With Captain Kirk and his crew as our guides, we explore some of the benefits of IT support services for your business, as well as the risks and consequences of not having things in place. 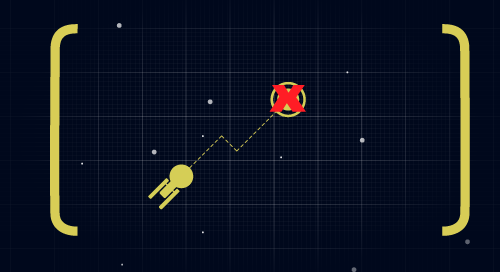 Captain Kirk of the USS Enterprise calls to the engine room for warp speed – but why? This is the future; does Kirk even need Scotty when he could just flip a switch right there from the bridge? Starting or running a business can feel a lot like commanding a ship, setting forth on an adventure into the unknown. To boldly go…you get the idea. IT and support are the engineers of your business ship. With the mission of reaching customers and delivering services (or exploring strange new worlds) at the forefront of your attention, investing in support services is often a low priority. You implement a digital system for your business, set it running and assume it will continue to do so while you focus on your customers and services. This would be like the Enterprise without Scotty. However, Captain Kirk would never set forth without his engineer on board. However, advantages of outsourcing aside, the initial question remains: why do you need support at all? Why does the Enterprise need Scotty? Why Do You Need Support Services? You need an expert. You need someone there to answer the technical questions, to monitor systems, to investigate errors and help users understand how to get the results they need from the system. It’s quick and simple to get a support agreement in place. Support is usually offered with bespoke development or a product licence, and you can approach providers about project rescue for your legacy systems. Like it or not, technology around us changes constantly and your systems need to keep up. Updates to integrated platforms or APIs can affect your system’s functionality or compliance, disrupting services and compromising efficiency or revenue. With established maintenance agreements in place you can rest assured that when issues arise they will be handled quickly and cost-effectively. Modern digital solutions are often designed to be scalable and future-proofed, but they still require attention to maximise business potential. Your competitors will constantly work to make systems better, faster and more secure – why shouldn’t you do the same? Support is about more than just reacting to issues – it’s also about proactively pursuing improvements to prevent issues occurring. With managed IT services you can outsource specialists to test and development systems, look after your data, boost efficiency and enhance security. Without the teams in the engine room, the Enterprise could be left stranded. It does happen – sometimes systems break, fail or stop working. This could be a minor disruption that only affects isolated functions, or a major one that brings your whole system crashing down. It’s always a good idea to prepare for an emergency scenario. SLAs that outline strategies for different priority ‘break-fixes’ will save time, money and stress should the worst happen. System backups and disaster recovery services can minimise downtime in the event of system outages, restoring functionality as quickly and painlessly as possible. Support isn’t just about making systems work. It’s about supporting the systems while they work; supporting your enterprise, the way Scotty supports the starship Enterprise. For many businesses support is low priority as it doesn’t produce revenue. You might even think that ignoring it will save you money. However, the consequences in the long run could be huge, not just to your bottom line but to your brand and customer retention. With the right support teams on board, you can stun your customers and partners with a smooth running business ship. So the next question is: where do I begin?